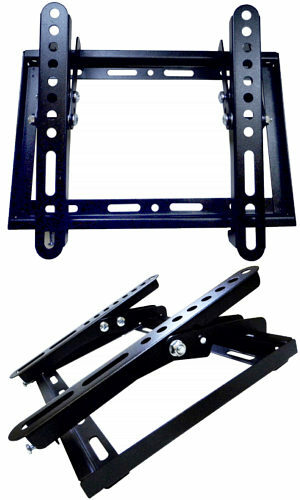 200 x 200 Tilting TV Bracket, for 14 to 37 inch TVs, Slim Profile. Tilting slim profile TV bracket. Adjustable display tilt +/- 12.5 degrees. Supplied with rawl plugs and fixing kit.